Elizabeth Leah (Birchard) Ring was born on August 13, 1946, to Ray and Velma (Orchard) Birchard in Woodbine, Iowa. Libby was raised in Woodbine and graduated from Woodbine High School. Libby married Norman “Perry” Shinn on January 22, 1965, at the First United Methodist Church in Woodbine. The couple was blessed with two children. 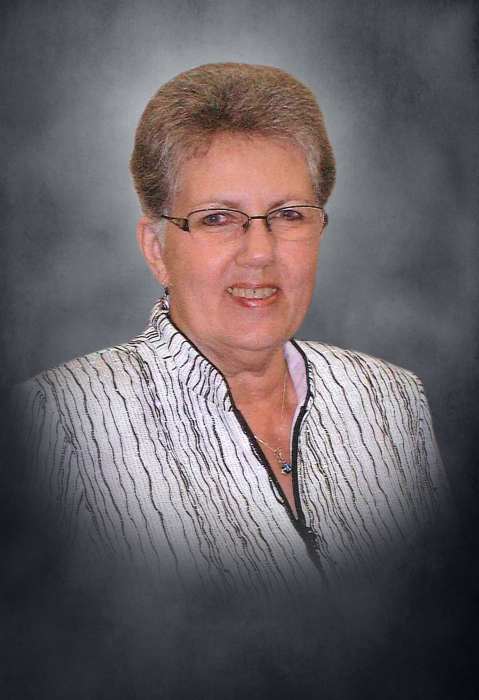 Libby worked as a nurse’s aid at Rose Vista Nursing Home in Woodbine and Mercy Hospital in Council Bluffs. Perry died on February 16, 2004. Libby married Fred Ring on September 5, 2008. Libby was a member of the Woodbine United Methodist Church and the Red Hats. She enjoyed volunteering for Hospice and at Mercy Hospital. She also enjoyed playing cards, having coffee with friends and helping others. Most of all Libby enjoyed spending time with her family and friends. Libby died on Monday, August 13, 2018, at Rose Vista Nursing Home at the age of 72 years. Libby was preceded in death by her parents; husband, Perry Shinn; and niece Shawna Jones. She is survived by her husband, Fred Ring of Woodbine, Iowa; daughter, Teresa (Lee) Wisecup of Missouri Valley, Iowa; son Troy Shinn of Batavia, Ohio; seven step children, Jeff (Marlene) Ring of Farmington, New Mexico, Karlene (Bill) Schultz of Bellevue, Nebraska, Greg (Diana) Ring of Neola, Iowa, Jennifer (Fred) Smith of Minden, Iowa, Lee (Sandy) Ring of Council Bluffs, Iowa, Becky Ring of Kansas City, Missouri, Ralph (Rena) Ring of Rolland, Iowa; two grandsons Wesley Bonham and Ryan Bonham; 15 step grandchildren; sister, Linda (Chris) Lenning of Woodbine, Iowa; three nephews; five great nieces; one great nephew; and other relatives and friends. Memorial contributions can be made to Generations Hospice, United Methodist Church or Woodbine Fire & Rescue.